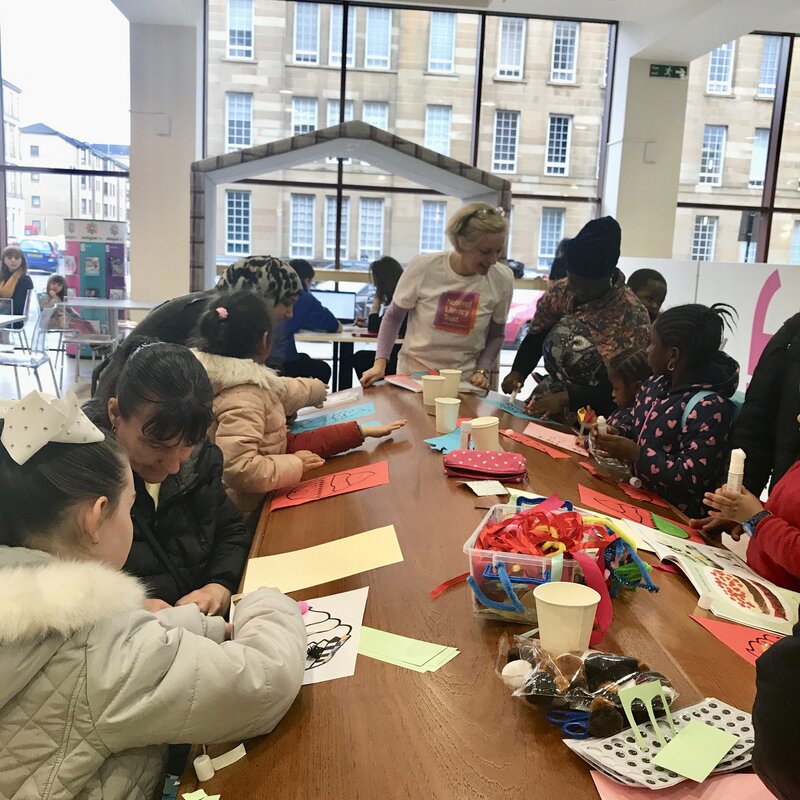 This weekend, we were joined by 65 families at Glasgow’s iconic Mitchell Library to celebrate the work of our Early Words Together programme, which has helped more than 200 families across the city develop the skills and confidence they need to support their child’s reading, writing, speaking and listening at home. The event brought to life all of the key elements of the programme – enabling families to visit the library, share books, tell nursery rhymes and sing songs together. 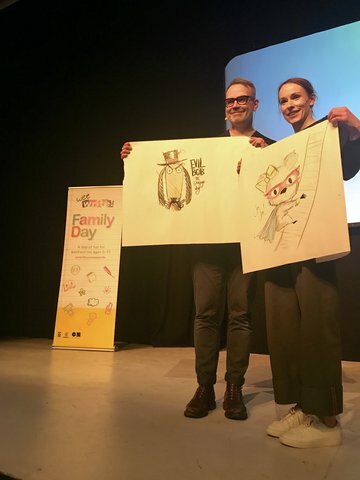 What’s more, in addition to providing a substantial number of volunteers for the project, HarperCollins UK generously supported the event by treating parents and children to two incredible storytelling sessions with authors and illustrators Rob Biddulph, the official World Book Day illustrator for 2019 and 2020, and Sophy Henn, the acclaimed picture book maker behind Where Bear?, Pass It On, Edie, and the adorable Pom Pom series. Rob and Sophy asked the children to shout out ideas for a ‘goodie’ and a ‘baddie’ character which they then illustrated live and asked children and families to make up stories for the two characters on their way home from the event. Two lucky children from Pirie Park Primary School also got to keep the two illustrations home and will be bringing them into school this week to show all of their classmates. The celebration took place as part of Wee Write! – Glasgow’s annual book festival for children and young people. Following the event, our Early Years Programme Manager, Kirsty Cunnington, ran an Early Words Together activity table throughout the day, where 75 more families came along to do arts and crafts and share books together. Over the past two years, we have worked with Glasgow Life and Glasgow City Council to deliver our Early Words Together programme in 24 schools across the city. 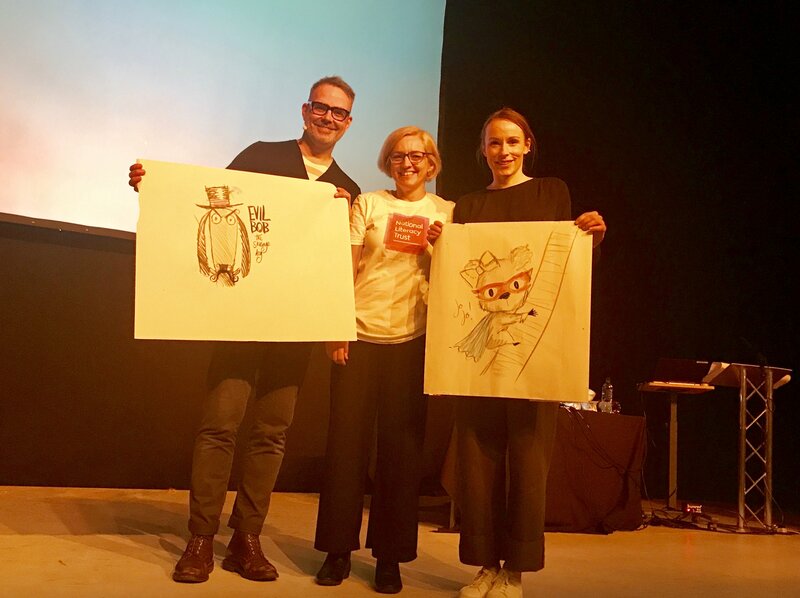 In this time, we have worked with schools to train 100 volunteers, including many employees from HarperCollins UK who have donated their time to supporting children and their parents. Find out more about our Early Words Together programme.